Now through next Monday, GOG has their Weekly Sale with some decent prices on select titles. New lows on Furi, Slime Rancher, Yono and the Celestial Elephants, and more. It's new lows in GOG's Weekly sale. The cheapest Battlezone 98 Redux, Judge Dredd: Dredd Versus Death, Rogue Trooper Redux, and more DRM-Free PC games. While most of these are not AAA titles, they are all good buy's. GOG is running a week-long sale on the Witcher franchise, with all games and expansions returning at their respective historic low prices. If you've somehow never tried Witcher 3, for $20 the GOTY is one of the best modern RPG you can pick-up. All DRM-free. GOG is running a Team 17 sale this week and once again more titles are hitting historic low price, including the DRM-free copy of Worms W.M.D. and the decent strategy survival game Sheltered. Mostly Worms title but a few other pickings are available as well. While you could pick up the Witcher 3 GOTY for $25 in the Steam Summer Sale, today GOG's weekly sale offers it to you plus a free copy of the Double Dragon Trilogy. In fact, any of the 70 games GOG has on sale now will net you a free copy of the Double Dragon Trilogy including Commandos 2+3 for only $0.99. 2K Games are cheap this week at GOG. 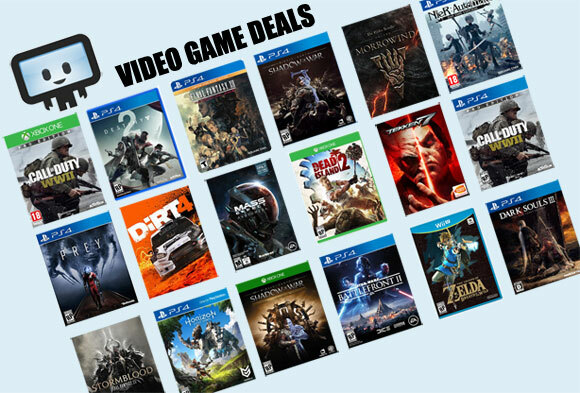 Today they've put 34 games with up to 80% discount. Some notable titles include BioShock, Mafia, Kerbal Space Program, and X-Com Classics. GOG has launched their Black Friday sale and we're seeing really good price on a few titles that aren't typically available elsewhere. For example, Divinity II Original Sin is now 35% off, while Witcher 3 GOTY is available for $20 again. Everything is DRM free which makes gaming much simpler in a complicated time. GOG Weekly deal with titles from Mafia series and Sherlock Holmes series. All DRM-free with fair regional pricing. Grab $20 Witcher III GOTY or other hot games such as Shadow Warrior, Vanishing of Ethan Carter, Hard West in GOG's Made in Poland Sale. Deal ends next Monday afternoon. GOG is running a "Back to School" Sale and for this instance, they are introducing flash deals every hour, with game deals expiring in batches of 3 to 4 hours. Some of the previous really good deal includes Dragon Age Origins Ultimate for $4, along with Witcher series titles. If you click through and the deal is dead, worry not as most titles will probably make an encore return towards the end of the sale later next week. Ends this afternoon! GOG has launched their St Patrick's Day Sale since last week - which as far as we know is essentially their spring sale. Over 350 titles are on sale, of particular note is the entire classic LucasArts Star Wars catalog. In addition to typical discount, GOG is also offering a $3 mystery "hat" (aka mystery box) full of assorted games. Click through for price history and roundup of sale. GOG's 2018 Chinese New Year sale went live for the week. Free King of Fighters 2002 and daily deals up to 90% off. Today's batch gets us new lows on Divinity: Original Sin Enhanced Edition, Hellblade: Senua's Sacrifice, Shadow Warrior 2 and more. Click through for price breakdown. GOG launch a Midweek Soul of Japan Sale today. Good prices on Agarest Generations of War, Xanadu Next, Celestian Tales Old North, YS series, and Hyperdimension Neptunia series. Today the GOG Trick or Treat Sale 2018 went live. Hundreds of PC gaming titles on sale up to 90% off. New lows on Little Nightmares, Trine 3, Renowned Explorers International Society and more. Classic EA Games are cheap this weekend at GOG. Today they've put 51 games with up to 85% discount. Some notable titles include Crysis, Dead Space, Dragon Age Origins Ultimate Edition, Mirror's Edge and SimCity 4 Deluxe. 53 Ubisoft Games are up to 75% off at GoG. They're not the newest releases but the most expensive title is $6.79 (most around $2) and are DRM free (no U-play).